Epos Now are the UK’s fastest growing EPOS provider, serving over 30,000 businesses across the retail and hospitality sectors. 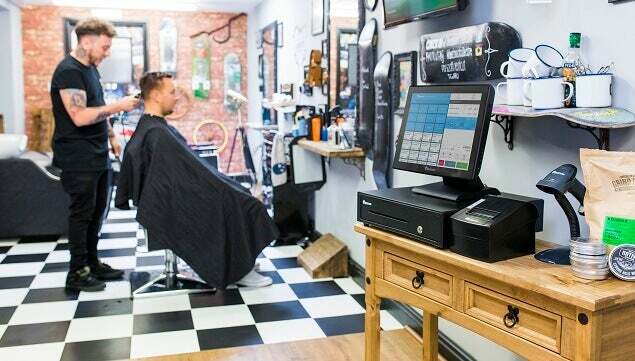 Recipient of the Queen’s Award in Innovation for creating the UK’s first POS AppStore, they’ve quickly established themselves as market leaders, affording businesses the freedom and flexibility to create a bespoke POS experience tailored to their needs. With a large variety of products available, Epos Now supply EPOS technology to all sectors, including restaurants, shops newsagents and hotel chains. By building the system on the cloud, these users can access their data from anywhere, even on their mobile phone. Epos Now offers dedicated EPOS system bundles for most industries. These are engineered to work almost straight from the box, with Epos Now offering various support options, such as pre-importing all your existing peripherals. By hosting the system on the cloud, your point of sale solution will be automatically updated with every software release, ensuring your POS is never out of date and eliminating the need for costly upgrades. As you would expect for a company that is at the cutting edge of EPOS technology, Epos Now is a company that takes great pride in manufacturing goods that cover all aspects of EPOS products. Although we could have chosen their impressive range of EPOS products for fashion and beauty sectors, the following are the best selling and most renowned systems for retail and hospitality. Epos Now’s Full Retail System is a simply designed, dual core processing integrated EPOS system with full Athena software. You will have access to the UK’s first POS AppStore offering integrations to over 100 specialist applications including accounts, merchant services, ecommerce, customer loyalty and marketing. The system has an intuitive and customisable interface which is easy to use and facilitates fast and accurate transactions. This is great for businesses with high footfall, allowing you to bust queues and serve the next customer fast. 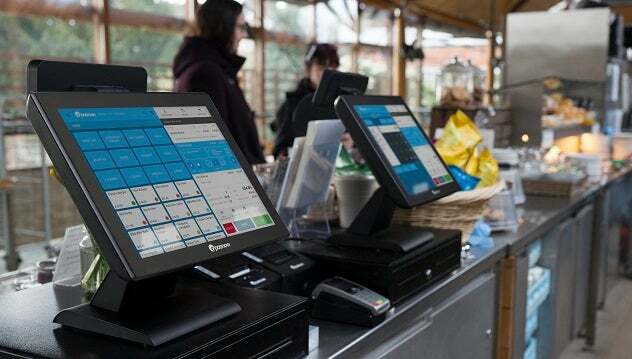 You can be sure that installing Epos Now software and hardware will be a pain free experience that requires next to no downtime. Businesses implementing Epos Now systems enjoy a dedicated welcome consultant throughout the onboarding process, assisting with training and support needs. For additional peace of mind, those investing in premium support to access to their UK based customer support team 24/7. Simple and effective, this is a great system for retailers at any stage of their journey, whether starting a new business or replacing a legacy system. Having the ability to add functionality through the AppStore is great for growing businesses. Available from £1200 for a full POS solution (terminal, printer and cash drawer), businesses could see a return on their investment in a matter of weeks. Businesses can choose to purchase the terminal alone for £799. Epos Now’s inbuilt hospitality functions afford a huge scope of businesses great benefits – from pubs, bars and cafes to restaurants and takeaways. With robust and reliable splashproof hardware, the system stands up to the demands of everyday use in a busy hospitality business. The hospitality software comes complete with customisable table plans and order designations that allow you to note if a customers eating in, taking out or if the order is for delivery. The system facilitates automated inventory management which is hugely effective at reducing wastage, stopping theft and protecting your cash flow, not to mention saving hours in manual stock takes. Managers can also set customisable permissions to stop use of excessive discounting and no sales. Epos Now are relatively small compared to some of the other giants in the industry but they are an emerging force with an impressive list of multinational clients and an impressive array of awards recognising both their products and services. With over 2000 5* independent customer reviews, it seems that a customer-centric approach is the way to go. The company continue to keep an open dialogue with customers through their FatureVote app allowing users to vote on features which comes as standard as part of the system. As wonderful as the Internet can be, the sheer scale of information to process when trying to compare specific products makes it a frustrating and almost impossible task. By filling in our simple web form, you can compare specific EPOS products, components and systems to make sure you choose the best system for your business. EPOS systems are expensive so it is vital you do not just take your time considering the right hardware or software to buy, but that you are also evaluating the relevant products in the first place. By taking just a few moments to fill in our web form, you can be sure you will be able to select the correct products for your venture.